diana lynn's painting a day: Found it! 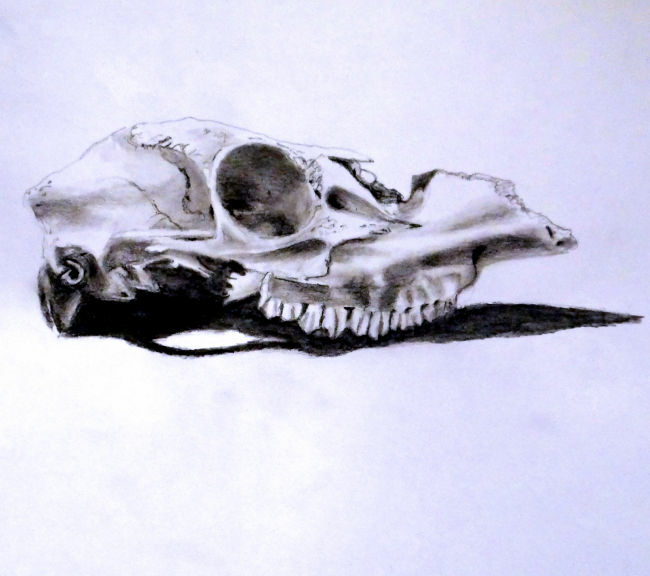 I found this skull in the woods and knew it would make a great pencil sketch. After a good soak in bleach and a long dry in the sun, it was ready. I really like pencil artwork - the simplicity of it and the strong difference in values, but it is by far the most time-consuming work. One brush stroke loaded with oil paint can cover oh so much more than a tiny stroke of a pencil. No bones about it.